We will address any of your serger needs in a fun, low-stress environment. The possibilities are endless! 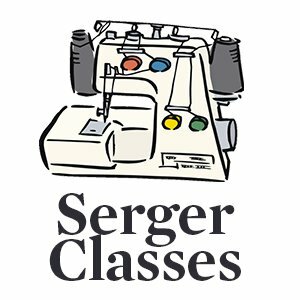 Complete a serger project and receive guidance and support. Don't have a project???? Deb will have some fun and easy ones on hand. If you need a refresher on threading the serger, or need to convert from overlock to cover stitch (or any stitch, for that matter) come on down!! Bring your serger, manual and accessories along with any other supplies needed.